Hybrid Super Audio-CD 5.1 SURROUND + STEREO produced i DXD (Digital eXtreme Definition). This compact disc looks like a normal CD and plays on all standard players and computers. Arvid Engegård decided at the age of ten, that the string quartet was the ideal medium for making music. Major milestones in his life include an influential period as concertmaster of Camerata Academica in Salzburg, before leading the Orlando Quartet for several years. Atle Sponberg will be recognised by many from the finals of the European Broadcasting Union competition in 1982. As concertmaster of the Norwegian Radio Orchestra, Atle is a main figure in Norwegian musical life. He also directs projects with Scandinavian ensembles including the Norwegian Chamber Orchestra and Trondheim Soloists. A prizewinner of the Lionel Tertis International Viola Competition, Juliet Jopling has appeared as soloist with orchestras including The Philharmonia, London. Juliet has been a member of a quartet nearly all of her life, starting in childhood with her family quartet. Jan Erik Gustafsson ("Gusse") won third prize in the European Broadcasting Union in 1986, second prize in the Leonard Rose Competition and won the US Young Concert Artists agency prize in 1994. He has appeared as soloist with numerous orchestras including the Berlin Radio Orchestra, Hong Kong Philharmonic, Stockholm Radio Orchestra, St. Petersburg Philharmonic and Washington National Orchestra. Gustafsson played with the New Helsinki String Quartet for thirteen years. 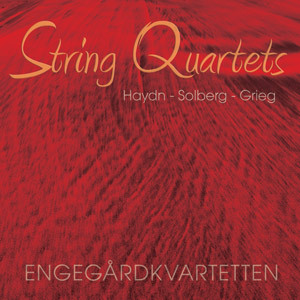 The great quartets of Beethoven, Haydn, Mozart, Schubert and Bartók are the backbone of the Engegård Quartet’s repertoire. Audiophile Audition (USA): " …Their musicianship is at the highest level, shown by the rich and precise ensemble sound the string players achieve. The recording’s superior spatiality adds to ones' appreciation of all the music by clearly positioning the string players around the soundstage. Together with 2L’s expert recording technique and the fine acoustics of the church venue, I would say this is the finest string orchestra program I have ever heard on a recording." Honored as "MULTICHANNEL DISC OF THE MONTH". What HiFi? (UK): "I have to say it's a beautiful performance, especially striking in the plucked strings of the Playful Pizzicato, and the flow of the Sentimental Sarabande, and each step up the quality chain brought out more of the music and the superb recording." 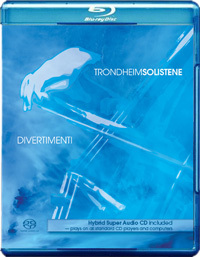 ULTRA Audio (USA): "The Trondheimsolistene is one hell of an orchestra. Its players are virtuosos, so technique is never a problem. The ensemble, overall, has a sound that is burnished, with point and focus, but is also rich and warm. The music for strings on Divertimenti is both familiar and new. Grazyna Bacewicz’s Concerto for String Orchestra and Terje Bjørklund’s Carmina are real ear-openers, masterful compositions that stand up to the strong company of Benjamin Britten’s Simple Symphony and Béla Bartók’s Divertimento for Strings. The energy and drive that the Trondheim players bring to the final movement of the Bartók is, I think, unequaled on disc. But no matter which track I play, Divertimenti is one of the best-sounding recordings I have ever heard - The best high-resolution audio discs produced anywhere on the planet!" 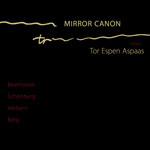 Audiophile (USA): "Aspaas' discussion of this sonata, his magnificent performance of it, and the transparent 2L surround sound had my hearing the work in an entirely new light. This release should appeal to a much wider group of music lovers than just those who think works using serial techniques are the epitome of modern classical music." Audiophile (USA): "A stunning bit of playing in music of attractive worth, in super sonics." 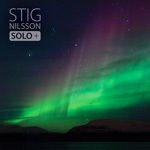 SA-CD.net: "This superlatively recorded SACD gives one not only the opportunity to acquaint oneself with a collection of solo (and duo) violin music by a number of contemporary Norwegian composers, but also to experience the fine playing of both Stig Nilsson and his son Anders Kjellberg Nilsson. This is another 2L production that warrants the highest recommendation for both performance and recording quality." Audiophile (USA): "This is a lovely work, without the barnstorming of the Berlioz or Verdi Requiems but with more gusto than, say, the Faure Requiem. 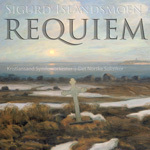 Since most listeners won't be familiar with the Norwegian folk tunes used thruout the Requiem, they will just sound like pleasant melodies. The choral parts were rewritten somewhat for the professional choir performing the work, because the original was designed for performance by amateur choirs. The choir-behind-you effect is not just novel, but involves the listener more fully in this lovely music." MusicWeb: "This is most certainly a piece which deserves its place in the catalogue. Listeners seeking a combination of romantic melodic eloquence, with any Germanic heaviness alleviated by that Nordic sense of openness and fresh air will find much to enjoy here. This is a revival which I hope will set a trend for neglected masterpieces elsewhere." Winner of the Norwegian GRAMMY-award 2006. Elected a "Record to Die for" by US magazine Stereophile 2007. ULTRA Audio (USA): "The best high-resolution audio discs produced anywhere on the planet"